It’s time for a fundraiser! The Surrey Hospital and Outpatient Centre Foundation is building a kids mental health unit and they need our support. 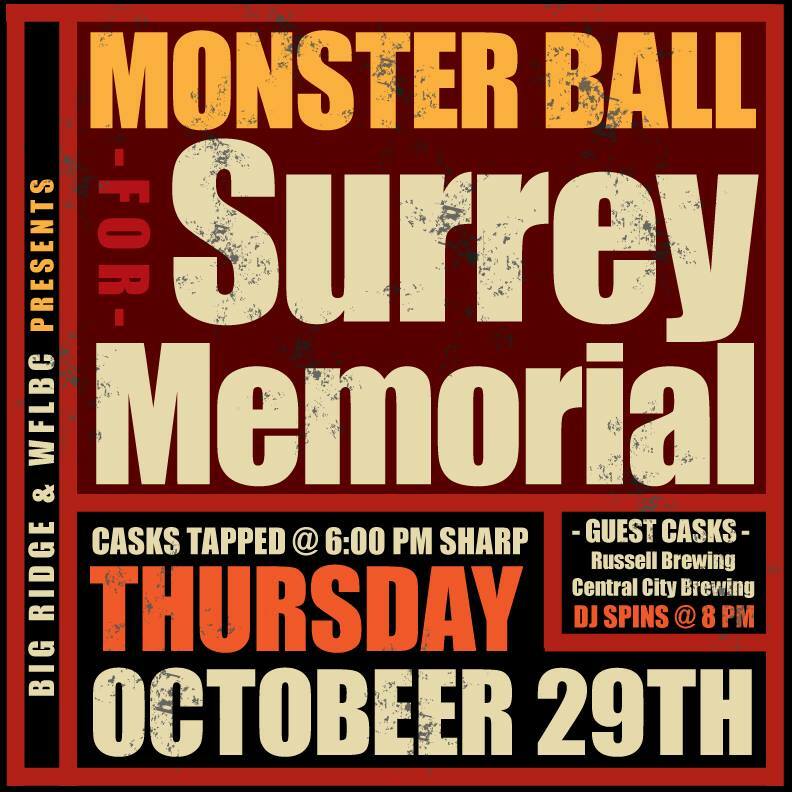 Join us at Big Ridge Brewing in Surrey on Thursday October 29th for a Halloween themed Monster Ball! There will be casks from Big Ridge, Central City Brewing, and Russell Brewing with proceeds going to the SH&OC Foundation. There will also be a 50/50 draw and a prize for best costume so break out your costume A-game. Casks will be tapped at 6pm sharp. Surrey needs a kids mental health unit, and it needs it as soon as possible. Come out, have some tasty beers, build up some karma points, and make a difference. Here’s a link to the Facebook event page, invite all of your friends! Hops, Hops, So Many Hops. Cellared Sartori and BC Hop Fest. I would be so in for this…but we are going to the Hawksley Workman gig in Vancouver that night….